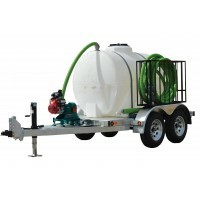 Select 100,150 or 200 gallon honey wagons with your choice of electric, engine, air or hydraulic drives. 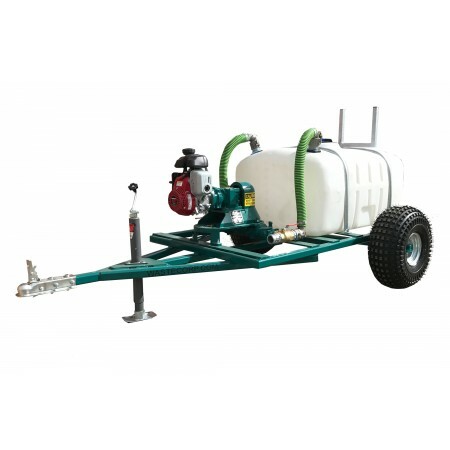 Select from ATV tow packages, trailer mounted or turf tire mounted. 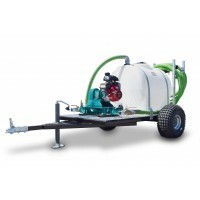 100,150 or 200 gallon wheel mounted honey wagons with your choice of electric, engine, air or hydraulic drives. 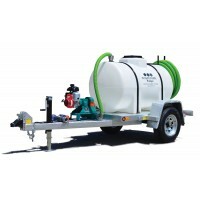 Select from ATV tow packages, trailer mounted or turf tire mounted. 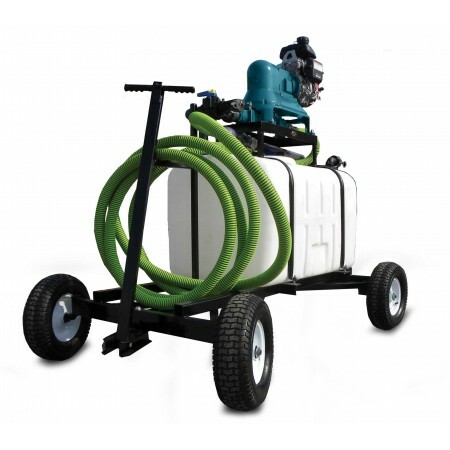 Septic Waste Pumps With Containment in Mind. Pump it and contain it. The honey wagon has evolved to include several applications outside of septic waste collection. Many of our customers have put their creativity to work to start viable small businesses. Check out what a sample of our customers have done with their honey wagon systems. 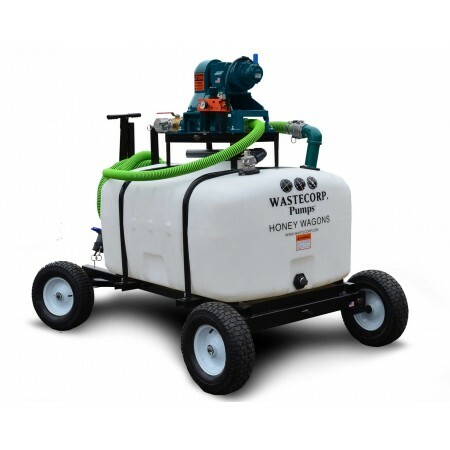 For example, a small business owner in Lexington, Kentucky uses Wastecorp's 100 gallon honey wagon to collect restaurant waste trap grease to produce alternative fuel for area farm equipment and trucks. He started his business with one unit and now has five. 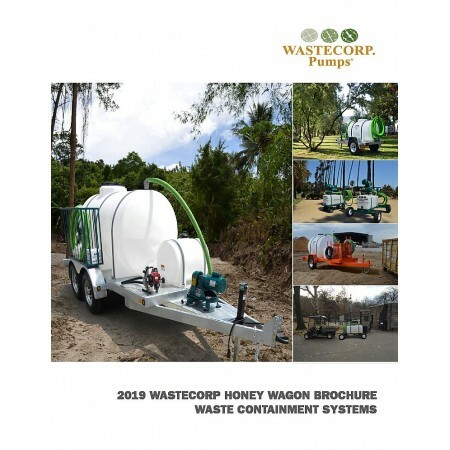 A service company in the Florida Keys uses four Wastecorp Honey wagons mounted on a pontoon boat to provide fresh water to boats docked outside of the main marina. 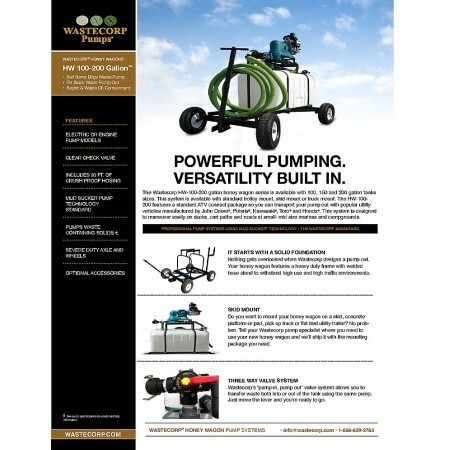 A farm equipment company in Des Moines, Iowa spreads liquid fertilizer across thousands of acres of crops using Wastecorp honey wagons and high pressure pumping equipment.